Bored with too much of Chinese Food from somewhere we couldn’t reach in minutes? Let’s have something else. 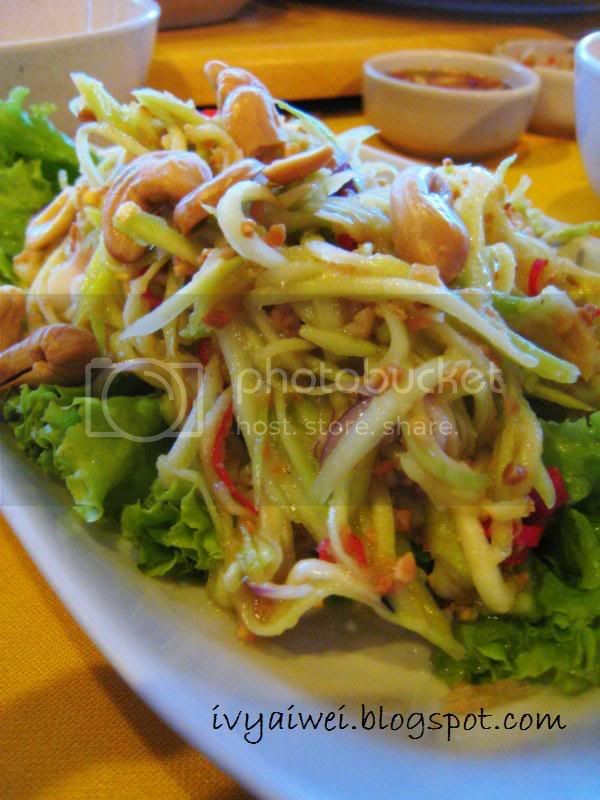 Thai Cuisine is always irresistible. Love the spiciness, love the sourish-ness, and love the aroma of the herbs they used in cooking… so, anyone dislikes Thai Cuisine? This is somewhere I have visited for few times for the very authentic Thai Cuisine. 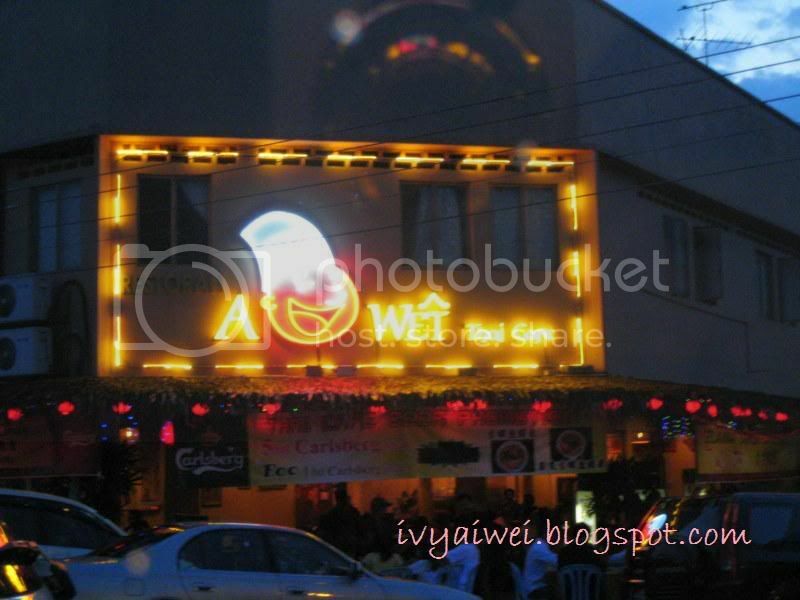 A Wet Thai Café is quite easy to look for. It is located at Taman Segar a few shops next to Hau Kee Restaurant (guess no one doesn’t know the 4-shops-in-a-row Chinese restaurant). Plain water?! 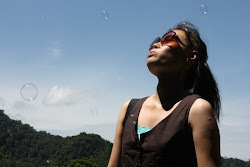 Oh no, it’s not just plain sky juice but there is the strong fragrant of pandan leaves in this plain water. We had another extra plate of Kerabu Mango. The sliced Mango was kinda sourish. Additional of chili that added the hint of spiciness and the variety of ingredients and sauces that tossed-in for its special taste. 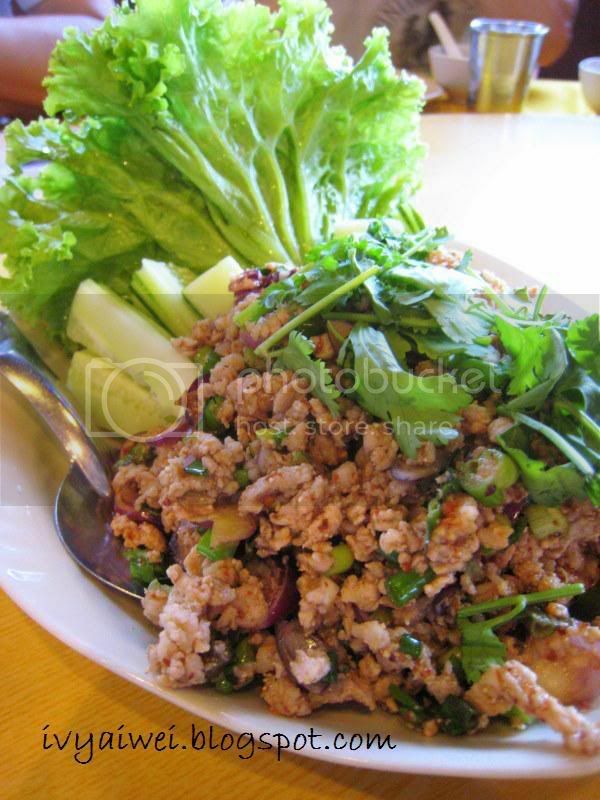 This is the minced pork where you have to enclose them with the pieces of greens provided. It is A little salty but goes best with white Thai rice. 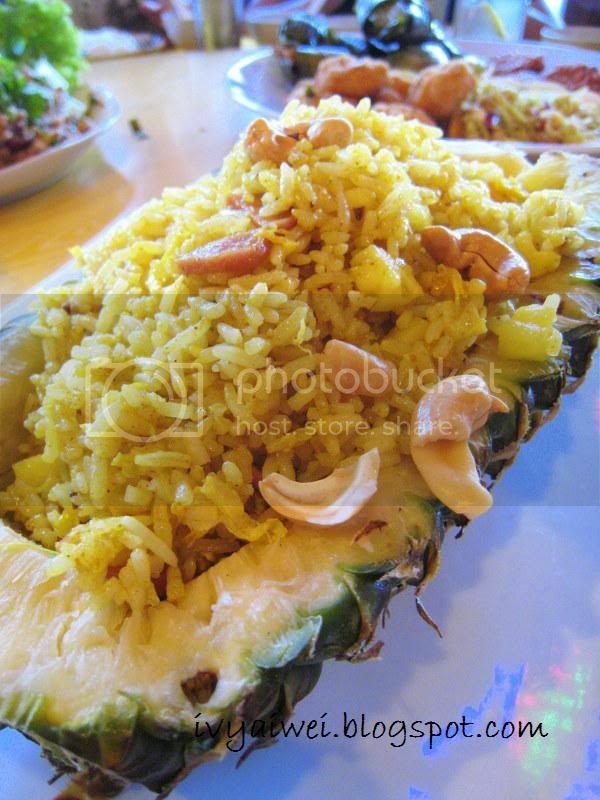 Pineapple Fried Rice is light and fluffy in texture and bountiful with pineapples and the crunchy cashew. 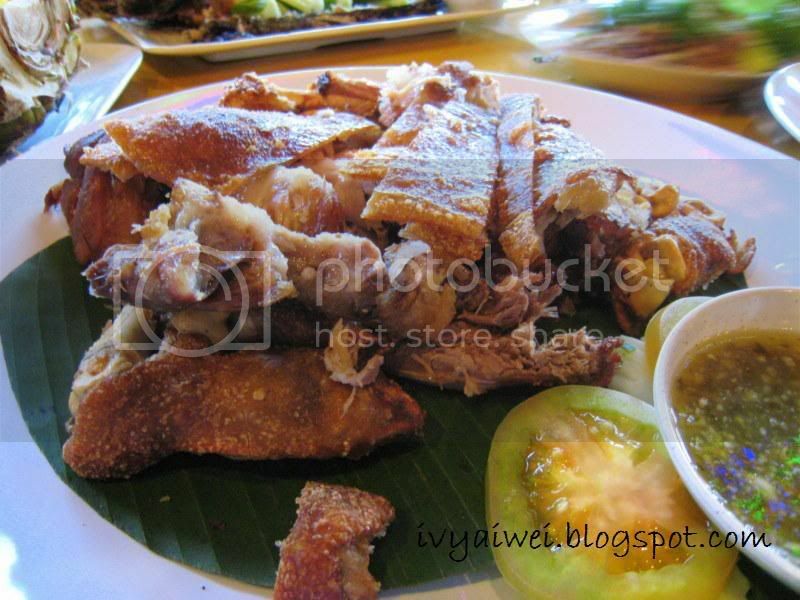 Pork Knuckles is one of the best selling dishes in the restaurant. It was crispy on the outside and the meat was tender and juicy. With the dipping sauce provided, it definitely gives you a big Ohhhmmm. Thai Style Steam Fish. It was real Fresh! 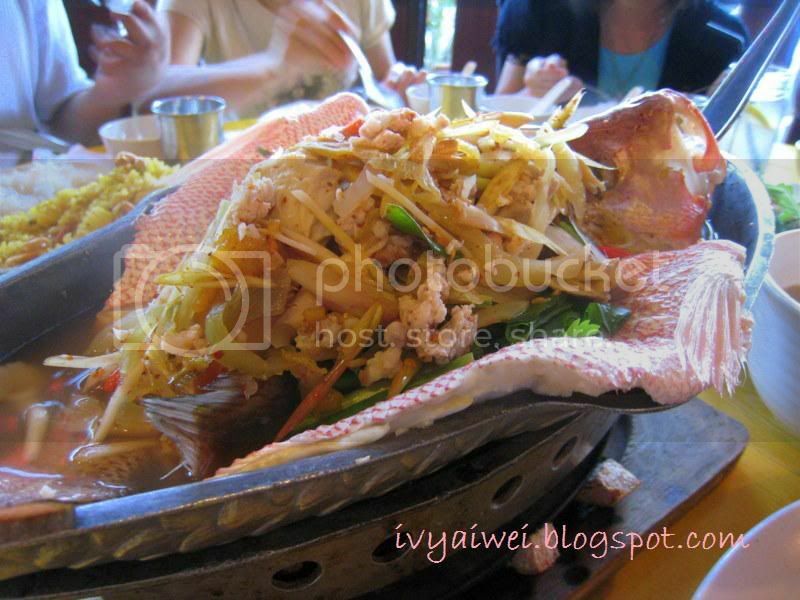 The steam fish was a little-look-alike the Teochew style where there were added salted vegetables. Of course, a must not miss out --- Stirred Fried Petai and Prawn with Balacan. This restaurant is well known for their BBQ as well. The barbequed fresh fish was too good that my family members done it right before photo capturing. Sorry, left only bone here. Tom Yum Seafood Soup that appeared in orange-reddish was rather appetizing. It looked fiery but not that super hot as you think. It was spicy + sour + the freshness of seafood. However, the seafood portion was rather lesser than I taught. Well, it was still a good go. Besides this tom yum seafood soup, they do have another type of soup which is cooked and served in the coconut shell. I have tried it once and it was tempting but priced slightly higher. The house’s self made Thai style chili sauce. 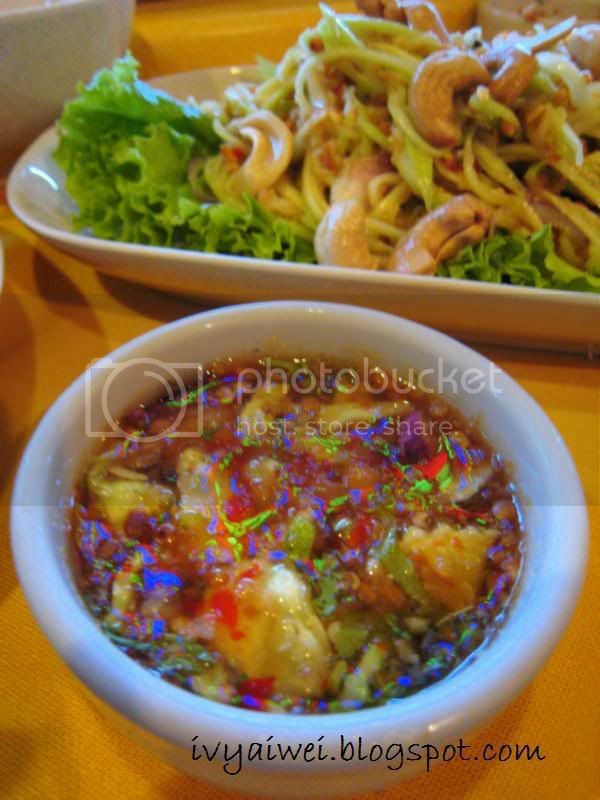 It is compatible with every mouth watering Thai dish or even alone with white rice. Don’t get freak out with the green and blue spots in the Thai chili sauce. 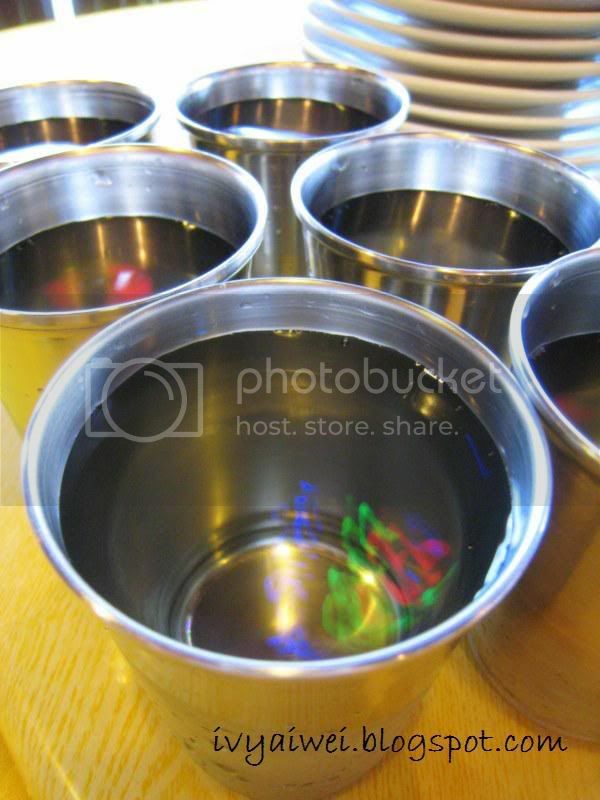 They were actually the reflection of the lights. All the food is prepared in a very authentic Thai style and the price for each is quite reasonable. All these look so delicious and tempting, especially platter. 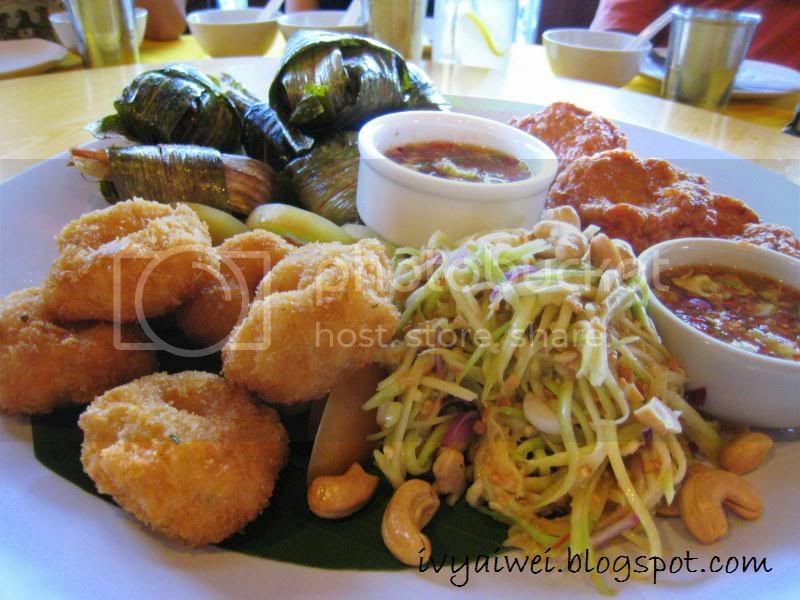 Where is Tamn Yulek, sorry for asking, I am so kampung girl..hehehe..
My choice goes to the platter. Hope to eat at this place too. Yeah!I fancy the platter, looks really nice and tempting!! Wow, nice place for Thai food! Haven't heard of it before, bring me there next time! 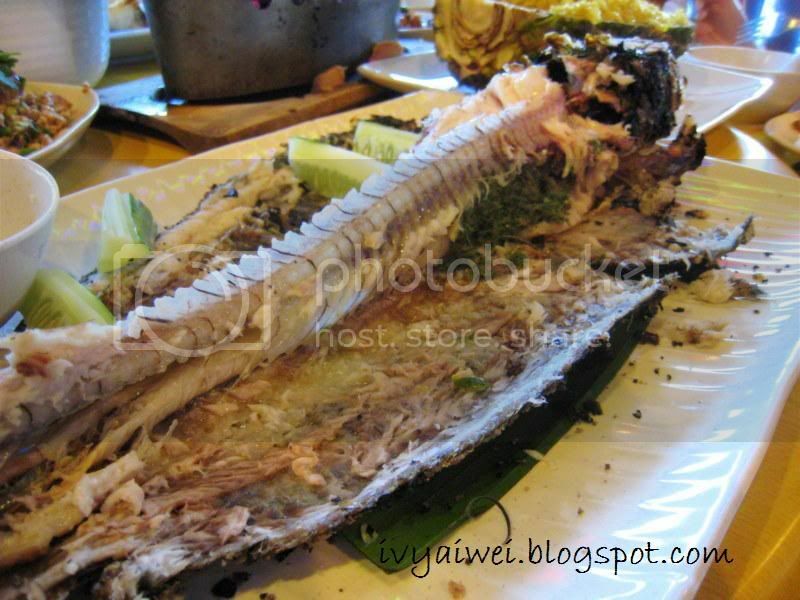 Haha, guess the fish is really good, gone before you can even take photo. Love anything with cashew nuts, made me crave for it now. Really nice meal you had. Quite a long time didn't take Thai cuisine, kind of miss it now. yep, they serve very authentic thai food. haha, me and my family prefer some others than the platter. yaya, i love food with cashew nuts too!!! love love love. sure, sure can bring you guys to this place. it's quite near to my place. when u wanna go, just let me know ya. ooo, no lar, not really fast in posting. next week onwards will return back to the extreme normal rate. it was indeed a great meal i had with family and aunt's family. food here is great. do hope they can maintain their standard. Haha, I think my family would have the same impatience as yours with the fish. Very difficult to get everyone to hold still while I get a shot here, and another one here... makes everyone very grumpy with me! hahaha, they are yummy. look for something similar to satisfy the crave?! Yummy. At first I see the signboard, I thought it's Ai Wei lol. uh. hungry nye. i love love love tomyam! 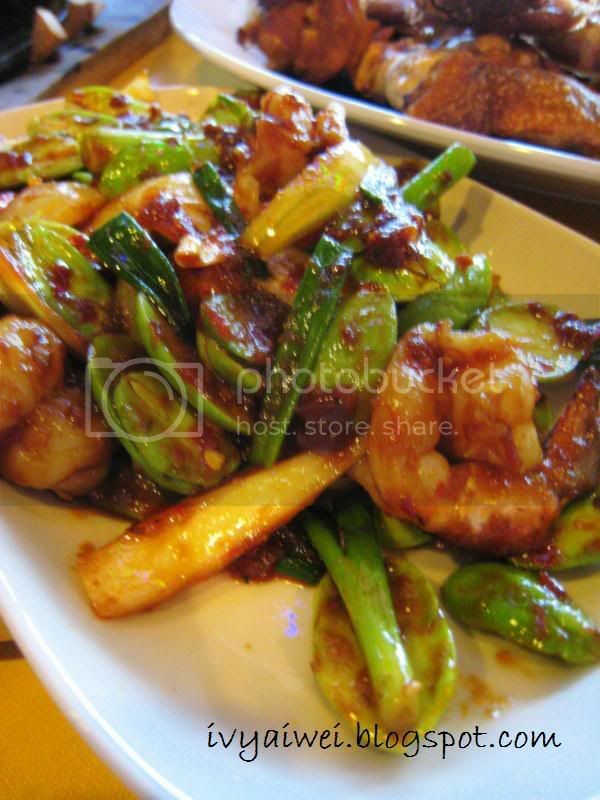 and gosh, the sambal prawn petai looks so awesome. 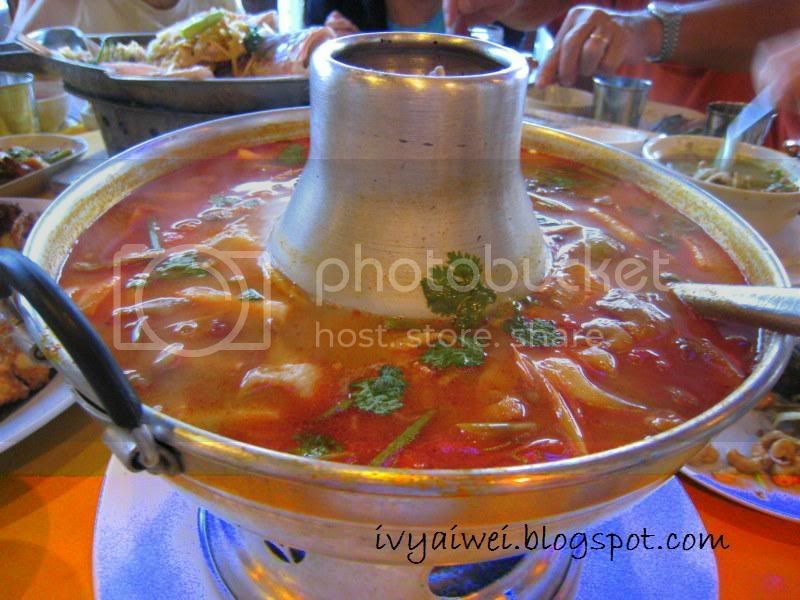 i miss tom yam sooooooooo much!! slurrrp... i am drooling over the the tom yum now. miss them badly.